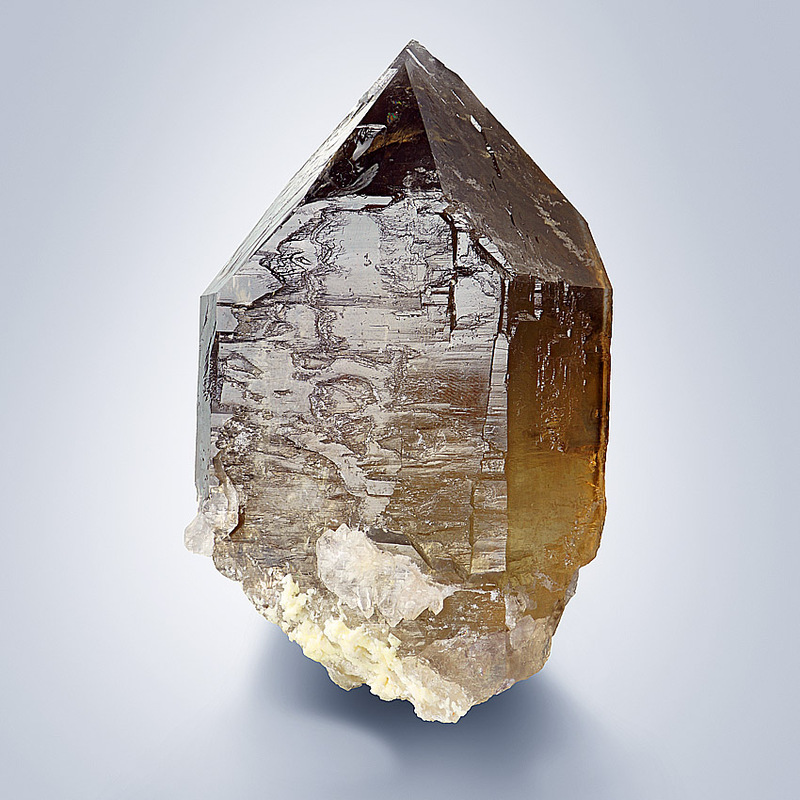 Stunning coffee-brown and highly lustrous smoky quartz crystal in a height of 10.6 cm. 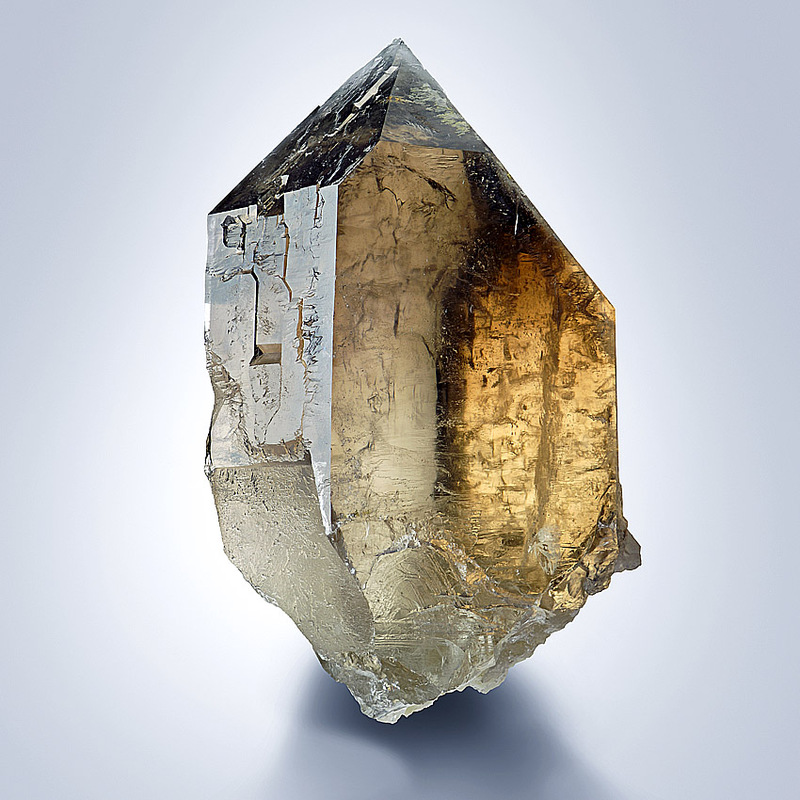 The crystal has a gem quality because of its color and transparency. The very sharp edged crystal shows very interesting surface patterns. 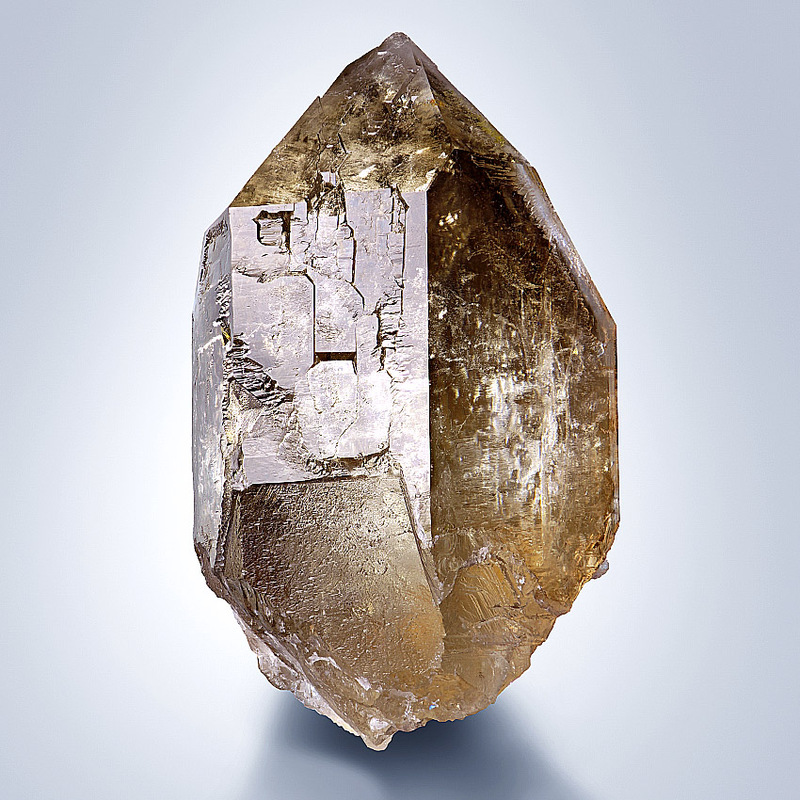 Very impressive smoky quartz crystal from the famous findspots around Diamantina, Minas Gerais, Brazil. No damages!